Times are still pretty good in Tokyo as I wrap up this semester of grad school (one to go!). I’ve finally grown comfortable with driving, so we’ve been making small side trips to places like Tachikawa, Hachioji, and Yokohama (I could be making these names up, you’d never know). I’ve also been in a bit of a movie watching drought as I continue a tradition: whenever I’m unemployed, I watch through all of “Frasier”. I don’t know why I do it, I just like “Frasier”. 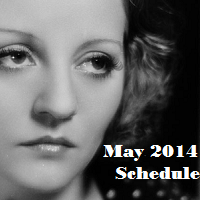 Looking over May’s TCM schedule, it’s a pretty light load even if some are fairly obscure– and almost all in the early morning hours. There’s a night devoted to Anna Sten, William Goldwyn’s answer to Garbo. There’s also a few Gary Cooper movies one morning, and another morning completely dedicated to movies with the word ‘scarlet’ in their titles. Some enterprising TCM programmer must be bucking for a promotion considering how that ties into the network’s favorite movie, Gone With the Wind. I’m excited for June since it’s the rainy season here– more excuses to stay inside and watch movies. 🙂 I’ll also be hitting a lot of films from a certain actress who had a very productive year in 1934, but we’ve got a lot of great reader requests before we get there. Thanks for this list, Danny! I’m looking so forward to your posts — you have some great ones lined up. Thanks Karen! I look forward to your opinion on my opinion of Faithless, which I saw you adored (as did I!). 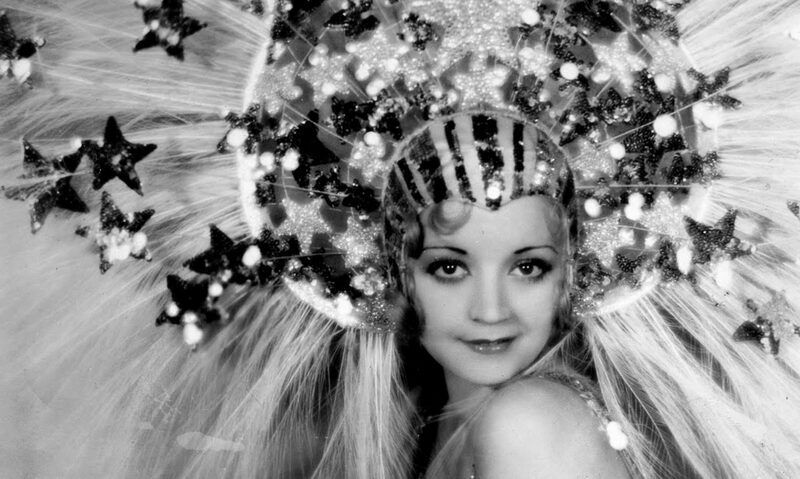 As you might remember from some of our previous conversations, “Blessed Event” is one of my favorite Pre-Code movies- can’t wait to read your review! I may or may not have intentionally put that one in there for you. 😉 Hope my review lives up to your expectations! In that case, thank you! Or not, as the case may be. I hope you were pleased with the results! They’re showing Nana? Wow, I’d love to see that – can’t see it ever turning up in the UK, somehow. Ditto for ‘One Sunday Afternoon’. I must stop reading the US TCM listings! Those are both pretty obscure. Here’s hoping it’s a sign of future DVD releases (on both sides of the pond)!